In wireless sensor networks, the event is detected by multiple closely placed sensor nodes. The spatial relationship can be utilized productively in order to conserve the power banks by halting some sensors to transmit the same information. This paper deals with the segregation of network into the correlated clusters based on correlation value. 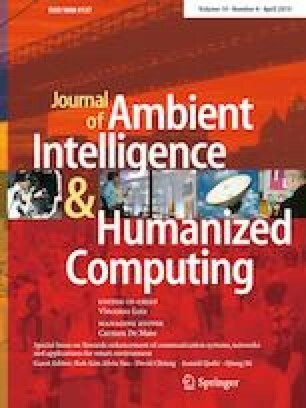 On the one hand, unlike existing clustering techniques relying on residual energy and distance to select cluster heads, this paper defines more realistic three-dimensional correlation model where cluster heads are elected on the basis of the correlation value, residual energy, and required energy. On the other hand, other than developing theoretical three-dimensional correlation model, a fuzzy-based clustering technique is also proposed to further implement the developed correlation model, where the nodes with similar information are gathered in such a way that data from a solitary node suffices the fidelity constraint to the sink. The effects of node density, sensing range, and the threshold value is studied in detail. Also, the correlation model is clubbed with clustering technique to further take the advantages of exploiting spatial correlation at the network layer. The results have revealed that proposed approach extend network lifetime by 30, 35 and 78% as compared to the FBUC, CHEF, and LEACH respectively. The results of clustering using correlation model show that the number of participating nodes get reduced by 33% when correlation threshold value is decreased from 0.8 to 0.6. Also, it is found that network lifetime gets improved by decreasing the correlation threshold value.